On Sept 24th this year, an event took place which is unprecedented in Church history. A sitting pope has been accused of teaching heresy as part of his authentic magisterium in a "Filial Correction" signed by some 60 Catholic theologians, priests and bishops - which has subsequently risen to 146 as of the time of writing. This accusation has been railed against an Apostolic Exhortation no less - a document which is part of the papal magisterium. This accusation of heresy leaked out on the exact day that the much vaunted Rev 12 sign appeared in the skies on the centenary year of Our Lady of Fatima, 33 days after the occurrence of the Great American Solar Eclipse, which marked the start of a forty day countdown to Yom Kippur, coinciding with St. Michael's Lent. While the importance of this event has been overlooked or downplayed by many, if this course of action is allowed to be played out till the end of its intended path, it will no doubt be looked back upon as one of the most pivotal moments in the history of the modern Catholic Church. This is only the first stage in a multi-step process involving an audacious attempt to depose Pope Francis from the Holy See either through the convocation of an "imperfect council" (a general Church council without the pope as its head), or through some other alternative ad-hoc process which will ultimately result in a major schism in the Catholic Church. Given the incessant grumblings against Pope Francis since the publication of Amoris Laetitia, there has been much speculation of late across in some extreme elements of the Traditionalist movement about how a pope who teaches formal heresy as part of his papal magisterium would automatically excommunicate himself, leaving the Holy See sede vacante. Indeed, there have even been several conferences conducted on the theme of "how to remove an heretical pope" such as that at Paris in 2017 titled "Deposing the Pope: Theological Premises, Canonical Models, Constitutional Challenges," inspired by the recently published book by Laurent Fonbaustier. and several discussions have taken place online as to what this process would involve (see Robert J. Siscoe in The Remnant here). During the Counter Reformation, there was some hypothetical scenarios discussed between several influential theologians, such as St. Robert Bellarmine, Francisco Suárez, and Cajetan, about what would happen if a reigning pope were ever to teach formal heresy, and what the process would be in removing said pope from the Holy See. However, there was never any consensus reached on this topic, and there was never any canonical procedure developed for such a process. In light of the development of later Catholic theology on the nature of the papal charism concerning the protection of the pope from error in his ordinary non-infallible magisterium and the dogma of papal infallibility in the extraordinary and universal magisterium, it was considered non-essential, since the modern Catholic Church teaches that no pope can ever teach formal heresy as part of his magisterium. In light of the upset that has been caused since the publication of Amoris Laetitia, which allows some divorced and remarried couples who are not able to obtain an annulment access to the Sacraments through the internal forum solution, some extreme Traditionalists are now convinced that Pope Francis is teaching outright heresy, and are now taking concrete steps to remove the Holy Father from the Peterine Office, by harking back to these hypothetical paradigms discussed by St. Bellarmine, Suárez, Cajetan et al. In light of Pope Francis' refusal to answer a series of dubia forwarded by Cardinals Burke, Caffarra, Brandmüller, and Meisner, Cardinal Raymond Leo Burke promised that there would be a forthcoming "fraternal correction" of Amoris Laetitia. A promise which appears to be intimately related to this recent Filial Correction. It seems however that Cardinal Burke is merely biding his time for the next step in this process, and will use the full weight of his authority when he issues his own "Fraternal Correction". The end-game in this audacious initiative behind the Filial Correction appears to be in openly proclaiming that Pope Francis is a manifest and obdurate heretic and declare that he has incurred automatic excommunication, leaving the Holy See sede vacante. It seems likely that this group will then petition for as many dissenting cardinals and bishops as possible to join them, lobbying for a new conclave to be established to install an antipope in opposition to Pope Francis, inaugurating a full-scale schism within the Catholic Church, the likes of which has not been seen since the end of the Western Schism in 1417. What we have witnessed here is the pawns being moved into place, reserving the key pieces for the next step in the process, which is to issue a "fraternal correction", leading to a declaration that Pope Francis a formal heretic, which could be form anywhere to six months to a year from now. While the Filial Correction appears to accuse Pope Francis of only espousing or promoting material heresy, such a position simply does not hold, when we consider the fact that Amoris Laetitia is part of the papal magisterium. Those who have promoted this Filial Correction have harked back to the correction of Pope John XXII. No such comparison can be made here though, in the fact that Pope John XXII only held to his heretical belief on the resurrection in a private capacity, and never attempted to formally teach this in his magisterium. This charge of heresy in Amoris Laetitia, however thinly veiled, is nothing short than an accusation of formal heresy, and the subsequent "removal" of Pope Francis from the Holy See is no doubt the next course of action for these audacious clerics. 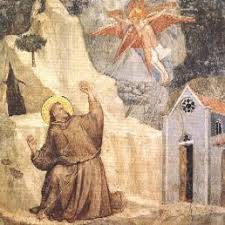 It is simply remarkable that this Filial Correction was timed to exactly coincide with the feast day of St. Padre Pio during the course of St. Michael's Lent, when St. Francis of Assisi was physically impressed with the visible wounds of the stigmata, marking him out as the "angel of the sixth seal". Is this act of stigmatization the final confirmation that Pope Francis is indeed the Worthy Shepherd who has taken great lengths to feed his flock during this period of trial for the Church? One from beyond the mountains shall become the Vicar Of God. Religious and clerics shall take part in this change. Outside the true path, there will be only disreputable men; I shrug my shoulders when the Bark of Peter is in danger and there is no one to lend it help... The schismatic shall fall into the scorn of the Italian faithful... By about twelve years shall the millennium have passed when the resplendent mantle of legitimate power shall emerge from the shadows where it was being kept by the schism. And beyond harm from the one who is blocking the door of salvation, for his deceitful schism shall have come to an end. And the mass of the faithful shall attach itself to the worthy Shepherd, who shall extricate each one from error and restore to the Church its beauty. He shall renew it." Just as St. Padre Pio offered himself up as a victim for the end of the First World War, we can only hope and pray that Pope Francis will offer up this act of stigmatization as a means to save the world from its current threat of chastisement, just as the North Korean nuclear crisis now reaches its crescendo. This act of stigmatization is surely the Dragon standing under the Woman's feet intent on consuming the "male-child" just as he is born, by issuing a flood from its mouth to sweep the Woman away. With the recent sudden escalation of significant world events that have taken place since the occurrence of the Great American Solar eclipse on 21st, August, 2017, it should be obvious to anyone paying close enough attention to the "signs of the times" that we have indeed entered into a 40-day period of repentance associated with the appearance of the sign of Jonah. The Latin phrase motus in fine velocior (which means "things accelerate towards the end") has proven correct. When I first noted this pattern of solar eclipses concentrated upon the site of ancient Nineveh, and how this may potentially tie into the significance of the Great American Eclipse on the feast of Our Lady of Knock (see the post The Sign of Jonah and the Binding of Satan), I had no idea what to expect, or even if I was correct in making these connections. It was a surprise to me when other people started pointing out that 40 days after this event brought us up to the Jewish feast of Yom Kippur, and that this was preceded by a 40-day period of repentance in Jewish tradition connected with the Hebrew month of Elul. This was made all the more important in the fact that on this exact year Yom Kippur coincides with the feast of Michaelmas, which is also preceded by a 40-day period of fasting and prayer in Catholic tradition during St. Michael's Lent, beginning on the Solemnity of the Assumption. Given the fact that the Jewish calendar is lunar based, while the Gregorian is solar, the coincidence of these feast days is a relatively rare event. We have already noted that the Third Secret of Fatima itself alludes to the significance of the Jewish feast of Yom Kippur - when the blood of the sacrificial victim was sprinkled on the Mercy Seat of the Ark of the Covenant by the Jewish High Priest to atone for the sins of Israel. This was symbolised in its description of the two angels gathering up the blood of the martyrs and sprinkling it upon those making their own personal ascent of Calvary during the final Passover of the Church. So the combination of the Day of Atonement with the description of St. Michael with the flaming sword in the Third Secret appears to be of especial significance in regard to a year when the feasts of Yom Kippur and Michaelmas collide - which just so happens to take place during the centenary of Our Lady of Fatima. In the extremely short window of time since the eclipse, a series of phenomena has unfolded in locations associated with distinctly Catholic themes, either in apparition sites or occurring over places bearing names of singular Catholic relevance. This was made in conjunction with a sudden massive spike in tensions between North Korea and the United States. Just nine minutes after the eclipse ended on American soil, a 4.2 magnitude earthquake occurred in Ischia, off the coast of Naples in Italy, where the blood of St. Janurius is housed in the local Cathedral. Ominously, the blood of St. Januarius had failed to miraculously liquefy in the ceremony conducted on December, 2016 - which is thought to portend some form of disaster localised around the area of Naples. As well as being the site of ongoing alleged Marian apparitions, Ischia was also the birth place of St. John Joseph of the Cross - an extraordinary wonder worker who lived and died in the monastery of St. Lucia in Naples, where his relics are still held. This bears some relevance in that the young martyr St. Lucia of Syracuse would go on to lend her name to one of the seers of Fatima, Sr. Lucia dos Santos. The United States is the middle of an unfortunate spate of natural disasters. In Texas the aftermath of Hurricane Harvey is causing widespread flooding, and in the western United States just the opposite--dry conditions and extreme heat--are causing widespread forest fires. The angel of the Lord came to him a second time. He touched him and said, “Get up and eat. Your journey will be long and hard.” So he got up. He ate and drank. The food gave him new strength. He traveled for 40 days and 40 nights. He kept going until he arrived at Horeb. It was the mountain of God. There he went into a cave and spent the night. As the Lord approached, a very powerful wind tore the mountains apart. It broke up the rocks. But the Lord wasn’t in the wind. After the wind there was an earthquake. But the Lord wasn’t in the earthquake. After the earthquake a fire came. But the Lord wasn’t in the fire. And after the fire there was only a gentle whisper. When Elijah heard it, he pulled his coat over his face. He went out and stood at the entrance to the cave. This in turn parallels the 40 days Moses spent on Mount Sinai following the idolatry of the Golden Calf, in order to make atonement for the sins of the Israelites - an event which is commemorated during the month of Elul. Then the Lord sent a plague on the people, because they made the calf—the one that Aaron made. Just before the stroke of midnight on 7th September, 2017, a huge 8.2 magnitude earthquake struck Mexico in Oaxaca, a few hundred miles south of Mexico City. The capital itself had felt this tremor, and there were various sighting of earthquake lights around the city itself. Mexico City is home to the Basilica of Our Lady of Guadalupe, which was built upon the site of the famous apparitions on Tepayac Hill. 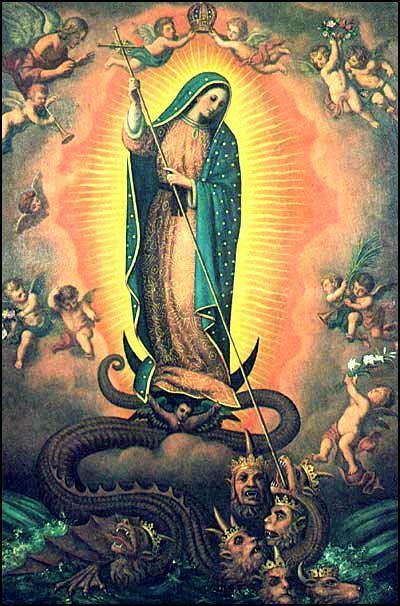 Our Lady of Guadalupe is also honoured as the patroness of America and protectress of the unborn, since she had appeared to St. Juan Diego in 1531 in order to bring an end to the ritual of human sacrifice in the New World. The practice of human sacrifice would not be manifested again in America until the legalisation of abortion in 1973. On the feast of the Nativity of the Blessed Virgin on 8th September, 2017, just a few hours after the earthquake in Mexico on the 7th, a 5.2 magnitude earthquake struck the prefecture of Akita in Japan, which is the site of another Marian apparition which has been approved by the Catholic Church. Akita is significant in the fact that it occurred at time when America was in the midst of legalising abortion during the Roe vs Wade court action in 1973. Here, Our Lady issued one of the most stark warnings against humanity when the Christian West began to adopt laws that would ensure the slaughter of millions of innocent unborn children. ...if men do not repent and better themselves, the Father will inflict a terrible punishment on all humanity. It will be a punishment greater than the deluge, such as one will never have seen before. Fire will fall from the sky and will wipe out a great part of humanity...the good as well as the bad, sparing neither priests nor faithful. The survivors will find themselves so desolate that they will envy the dead. The only arms which will remain for you will be the Rosary and the Sign left by My Son. "The statue was carved from a single block of wood from a Katsura tree and is three feet tall. On the same day, a few of the sisters noticed drops of blood flowing from the statue's right hand. On four occasions, this act of blood flow repeated itself. The wound in the statue's hand remained until September 29, when it disappeared. On September 29, the day the wound on the statue disappeared, the sisters noticed the statue had now begun to "sweat", especially on the forehead and neck." A second earthquake struck Mexico on 19th September, 2017, this time much closer to the home of Our Lady of Guadalupe in Mexico City, almost like a pilgrimage path being traced out along the line of a seismic fault. This occurred on the feast day of Our Lady of La Salette, which ties us back into the significance of the apparition of Our Lady of Knock - which appeared at the exact moment of the ceremony of the canonical crowning of Our Lady of La Salette on 21st August, 1879. This earthquake took place exactly 32 years to the day after an 8.0 magnitude earthquake struck Mexico City on 19th September, 1985 (the year Sr. Lucia said the world was saved from nuclear war). On the same day as this second earthquake near Mexico City, a hurricane named Maria was battering the islands of Guadeloupe, the Virgin Islands (at a place called St. Croix or "Holy Cross"), the islands of St. Lucia and Dominica (after St. Dominic, who instituted the Holy Rosary), while another hurricane called Jose (Joseph) was still swirling about in the Atlantic. Hurricane Maria then made its way to Puerto Rico, and ominously threatened its capital San Juan. "Christopher Columbus named the island Santa María de Guadalupe in 1493 after the Virgin Mary, venerated in the Spanish town of Guadalupe, in Extremadura. Upon becoming a French colony, the Spanish name was retained though altered to French orthography and phonology." The shrine [of Our Lady of Guadalupe in Extremadura] houses a statue reputed to have been carved by Luke the Evangelist and given to Saint Leander, archbishop of Seville, by Pope Gregory I. According to local legend, when Seville was taken by the Moors in 712, a group of priests fled northward and buried the statue in the hills near the Guadalupe River in Extremadura. At the beginning of the 14th century, the Virgin appeared one day to a humble cowboy named Gil Cordero who was searching for a missing animal in the mountains. Cordero claimed that the Virgin Mary had appeared to him and ordered him to ask priests to dig at the site of the apparition. Excavating priests rediscovered the hidden statue and built a small shrine around it which evolved into the great Guadalupe monastery. King Alfonso XI of Castile had ascribed the victory secured at the Battle of Río Salado over the Islamic Moors in 1340 to the intercession of Our Lady of Guadalupe in Extremadura, which was in effect a Spanish Lepanto moment. King Alfonso had visited the shrine of Our Lady of Guadalupe in Extremadura on several occasions, requesting the intercession of the Blessed Virgin there, and publically acknowledged that the victory was won due to this pious devotion. After the success of the Spanish and Portuguese armies at the Battle of Río Salado, the forces of Islam would never again be able to invade the Iberian peninsula, which would go on to enable the total defeat of Islam in Spain during the Reconquista - which was finally completed in the year 1492 - the exact year Columbus discovered America. A land which the Blessed Virgin would go on to claim for herself during her apparitions to St. Juan Diego under the title of Our Lady of Guadalupe, winning the conversion of almost an entire continent, and simultaneously vanquishing the rampant practice of human sacrifice. A practice which was then reinstituted in 1973, prompting the Blessed Virgin to issue a dire warning to humanity during her apparitions at Akita in Japan - the land that first felt the scourge of nuclear warfare when the United States detonated atomic bombs over the cities of Hiroshima and Nagasaki at the end of the Second World War. So the various earthquakes happening in these precise locations appear to be a further warning to America of the fate which lies in store for it if it continues on its path of devouring its own children by allowing the sin of abortion - a new ritual of human sacrifice deigned to allow the self-interests of ego-centric individuals to continue at the costs of the lives of their unborn offspring. 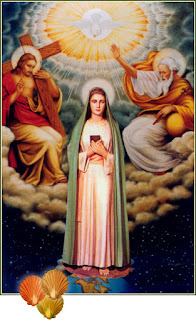 As we noted in the previous post The Third Secret of Fatima and the Children of the Apocalypse, it is the destruction and corruption of innocent children which invokes the great millstone judgement to be meted out on the eschatological Babylon, when the huge mountain burning with fire is thrown into the sea. It will be worth covering some of this material again below. “Whoever receives one such child in my name receives me, but whoever causes one of these little ones who believe in me to sin, it would be better for him to have a great millstone fastened around his neck and to be drowned in the depth of the sea." It is no coincidence then that the legalisation of abortion in the Western hemisphere soon followed the start of the modern apostasy, which found its roots in the cultural revolution of the 1960's. And as we have already discussed at some length elsewhere, the legalisation of abortion in Europe, with the implementation of the UK Abortion Act (which in turn would pave the way for the legalization of abortion in America, following Roe Vs Wade in 1973), directly coincided with the apparitions of Our Lady of Zeitoun in Egypt in April 1968 - the most widely witnessed Marian apparitions in human history. These appearances of Our Lady took place at a site traditionally associated with the flight of the Holy Family into Egypt to escape from King Herod's slaughter of the Holy Innocents, and given the apocalyptic nature of modern Church approved apparitions, they bear an incredible parallel to the vision of the flight of the Woman Adorned with the Sun into the desert in Rev 12. The implication here is that apostasy and abortion go hand-in-hand, and that a nation which falls away from the faith will ultimately begin to devour its own young - an unspeakable transgression which calls down vengeance from heaven. The prospect of a hydrogen bomb being tested in the Pacific raises a terrifying spectre - one that North Korea-watchers have mulled for some time, but which did not seem realistic until this year. Kim Jong-un could conduct an atmospheric nuclear detonation in the Pacific Ocean. There are two mechanisms for a test like this. One is for Kim Jong-un to mount the nuclear device he showed the world before his 3 September nuclear test and fire it over Japan, into the Pacific Ocean, and demonstrate a credible thermonuclear capability. Presumably, witnessing this feat would "tame" Trump into accepting the "equilibrium" that North Korea alluded to earlier this week - a state of stable nuclear deterrence. Given the inadequacy of existing US and Japanese ballistic missile defence systems, it is far from a sure thing that such a test could be intercepted. The risks are immense. Civil aviators and mariners in the target area may perish, given that North Korea does not offer international warning of its missile launch plans - unlike other states that routinely test ballistic missiles. The environmental damage and fallout could be catastrophic. Moreover, should the missile fail over Japan - or prematurely detonate - the consequences would effectively guarantee a nuclear war in retaliation. The angel with the flaming sword on the left of the Mother of God recalls similar images in the Book of Revelation. This represents the threat of judgement which looms over the world. Today the prospect that the world might be reduced to ashes by a sea of fire no longer seems pure fantasy: man himself, with his inventions, has forged the flaming sword. The vision then shows the power which stands opposed to the force of destruction—the splendour of the Mother of God and, stemming from this in a certain way, the summons to penance. We must now fervently pray that the Mother of God will intercede for us in a last act of salvation to stay the hand of the angel with the flaming sword, in order to allow for a period of conversion and penance before we undergo the trial of the Antichrist. "...in the plans of the Divine Providence, when God is going to chastise the world He always first exhausts all other remedies. When He sees that the world pays no attention whatsoever, then, as we say in our imperfect way of talking, with a certain fear He presents us the last means of salvation, His Blessed Mother. If we despise and reject this last means, Heaven will no longer pardon us, because we will have committed a sin that the Gospel calls a sin against the Holy Spirit. This sin consists in openly rejecting – with full knowledge and will – the salvation that is put in our hands." It has only been just over two weeks since the occurrence of the Great American Eclipse at the start of St. Michael's Lent, and we have already experienced a whole plethora of foreboding events. First we had the earthquake at Ischia occurring just nine minutes after the eclipse ended on US soil, which just so happens to be the site of alleged Marian apparitions which foretell the destruction of New York City in conjunction with visions of volcanic eruptions and an entire island sinking into the sea. This earthquake destroyed the Church of St. Michael (known locally as the "Church of Purgatory"), which was right next to the alleged apparition site at Zaro in Ischia. Four days later, we had the destruction wrought by Hurricane Harvey, which was the most powerful hurricane in a decade to strike the American coast. This was followed in quick succession by North Korea's hydrogen bomb test on Sept 4th, amidst several other provocations, accompanied by a threat of an EMP attack made by its leader Kim Jong-un. Since 2nd Sept, there has been an ongoing earthquake swarm in Idaho centred on Soda Springs - a location immediately adjacent to the path of totality, and just south of the caldera of the Yellowstone supervolcano. The largest earthquake measured here was 5.3 on the Richer scale, and there are concerns of a larger quake to come. Now we have the threat of Hurricane Irma bearing down on the coast of Florida which is currently Category 5, followed by other potential threats from Hurricane Jose and Hurricane Katia. "When you see a night illumined by an unknown light, know that this is the great sign given you by God that he is about to punish the world for its crimes, by means of war, famine, and persecutions of the Church and of the Holy Father." Scanning through the various reactions on social media, the dramatic uptick of significant events that has already taken place since the eclipse and the start of St. Michael's Lent has not went by unnoticed. In the post The Sign of Jonah and the Unbinding of Satan, we had already noted that it was a chain of catastrophic events centred around the timing of a total solar eclipse over the site of ancient Nineveh that had ripened the inhabitants' receptiveness to the words of the Prophet Jonah, causing them to repent en masse. In light of this combination of recent events, the idea that America has entered into a 40-day period of trial from the date of the eclipse to the feast of Yom Kippur/Michaelmas now no longer seems so far-fetched. "From the east a strong people, far away from God, will strike a tremendous attack, and break the sacred and sacred things." Judging from Torneilli's review, it is difficult to determine whether if the above passage from Bruno Cornacchiola's diaries refers to the events of 9/11, or some other future event. While Torneilli notes that Our Lady of Revelation made repeated appearances to Bruno after the initial apparition in 1947, and that the attacks on the World Trade Center were among the events prophesied, it is unclear if it is the above words of Our Lady that have been interpreted as a reference to 9/11 itself, or if it concerns another event yet to happen. Without knowing the full background context, it is tempting to see a possible connection here with the current threat stemming from North Korea. Although the apparition of Our Lady of Revelation at Tre Fontane has yet to receive full formal approval, it is widely recognized as authentic by several influential figures within the Church, including Pope Pius XII, and Pope St. John Paul II, who renamed the shrine at Tre Fontane "St. Mary of the Third Millennium at the Three Fountains" in 1997. 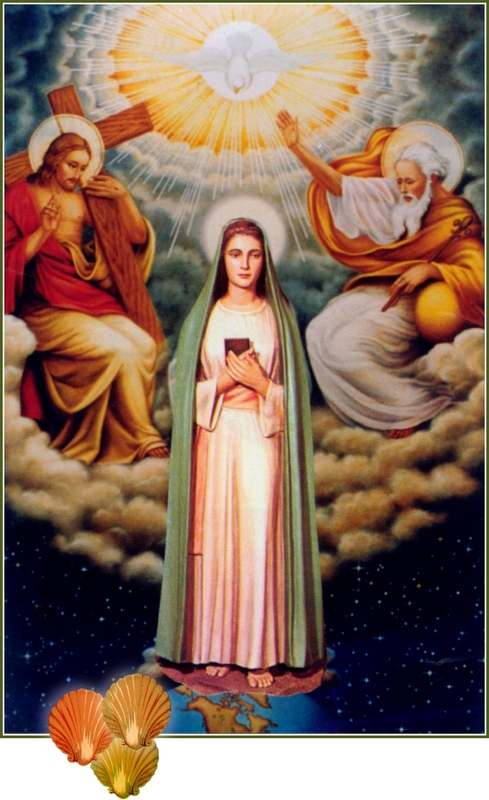 The devotion to Our Lady of Revelation is itself actively encouraged by the Church, and overall, its status is comparable in scope to the apparition of Our Lady of Knock. It is beyond the scope of this article to go into the full details of the events behind the apparition of the Blessed Virgin at Tre Fontane. If anyone needs further details, there is plenty of other literature dealing with this subject elsewhere, such as this detailed article here at the Theotokos website. It should suffice to state that the Blessed Mother appeared to Bruno Cornacchiola in order to prevent him from assassinating Pope Pius XII. The fact that the Blessed Virgin chose the site of Tre Fontane in order to intervene in Bruno's assassination attempt is highly symbolic in itself, as this was the location of the martyrdom of St. Paul, whose death along with that of St. Peter during the Neroian persecution, foreshadows the martyrdom of the Two Witnesses during the final Passover of the Church under the Antichrist. The diaries contain various other intriguing prophecies made by Our Lady of Revelation, which as we will dissect in more detail in a future post, are incredibly similar to the words of Sr. Lucia concerning the state of the Church during her interview with Fr. Fuentes, which in turn can be compared to the prophecies of St. Hildgard of Bingen. 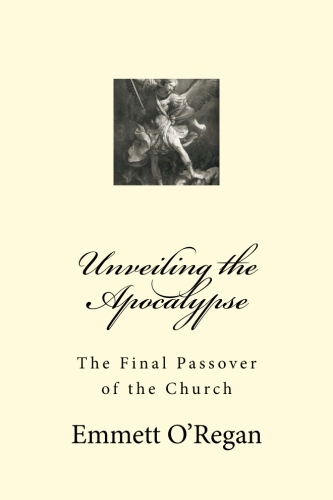 For now, one of the most striking aspects of this previously unpublished portion of the messages given to Bruno Cornacchiola, is the fact that they confirm my hypothesis concerning the current age of the Church being equated with the period of the unbinding of Satan at the end of the Millennium in Rev 20. "The entire Church will undergo a tremendous trial, to clean up the mass of rotten flesh that has infiltrated into Her ministers, in particular among the Orders of poverty: a moral trial, a spiritual trial. For the time indicated in the heavenly books, priests and faithful will be placed at a perilous turning-point in the world of the lost, which will rush to the assault with whichever means: false ideologies and theologies! Supplication from both parts, the faithful and the unfaithful, will be made according to the trials. I, among you the elect, with Christ as Our Captain, will fight for you […] The wrath of Satan is no longer restrained; the Spirit of God is withdrawn from the earth, the Church will be left a widow, behold the funeral drape, She will be left to the mercy of the world. Children, become saints and sanctify yourselves more, always love each other. […] Marshal yourselves under the banner of Christ. Working in this way, you will see the fruits of victory in the awakening of consciences to the good; despite being in evil, you will see, through your cooperative and efficacious help, sinners converted and the Fold filled up with saved souls." This mention of the wrath of the Devil no longer being restrained, made by Our Lady in the immediate aftermath of the Second World War, is further confirmation that the prophetic vision of Pope Leo XIII is indeed related the short time of Satan described in Rev 20. Several years later, on 26 January 1996, other references to threats against the Vatican: "How many dreams do you have? This night I saw St. Peter's Basilica, go on fire, and I said, 'Why is it being burned? A voice says, 'It is purifying fire to make it understand that it is the only force of life and love and it is not understood; God purifies everything in order to make everyone understand the way of truth for life. " Dear Mother, you were that voice, I recognized it. " On, March 3, 2000, in the Great Jubilee, in one of the last messages (he would die the following year) - Cornacchiola writes: "Today I had a very bad vision that made me cry. I saw a lot of blood flowing in St. Peter's, all out with the staircases and columns around and the two fountains. Well, I saw the blood drain and [shouts of? ]: 'Death to the leaders!' I had a bad feeling for the Pope and others." There is an extraordinary parallel in this vision of an attack on St. Peter's Basilica to one of the most noteworthy of the messages to emanate from the alleged apparitions at Ischia, made some time before the details found in these diaries came to light; or indeed before the current division in the Church became so pronounced. "Pray a lot for Pope Francis, hard times await him..."
"My daughter, there will be in St. Peter's a serious and tremendous division: see the walls are stained with blood, the blood of the martyrs; there will be an uproar. If you do not pray, all of this will happen very soon. "The dome of St. Peter's was full of smoke. Peoples in turmoil gathered in St. Peter's, people in riot. There were races that clashed with each other. It was dark, there was no light, many fought and many were lying on the ground lifeless. The dragon passed among the corpses and laughed; He was very happy. People were trying to talk to each other, but they don't understand each other. The earth was shaking, trembling all over."